We all thought the dynamics of the Outlaws was ironed out, but that was back when Bizarro was, well, Bizarro. 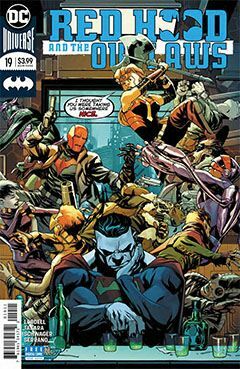 Now he’s a good deal smarter, and while he’s still the powerhouse he’s always been, he’s evolved far beyond the simple blunt instrument Red Hood and Artemis have come know and love. It’s a good story, with solid ramifications for the future of the team on many levels – not the least of which is a teammate who may be suffering from the cure to what ails him. Either way you look at it, it’s sure to cause some fractures down the road.